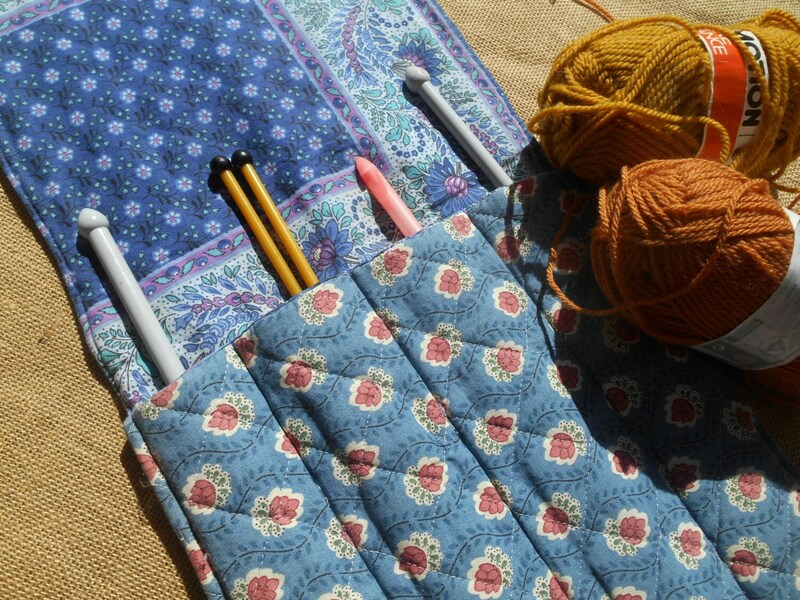 Vintage French Folk Provence Fabric Knitting Needle or Crochet Case. 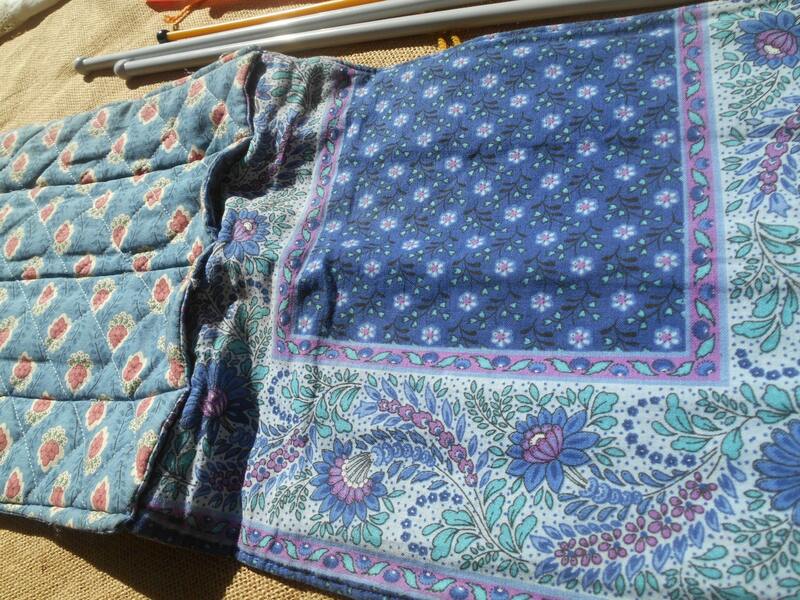 Made of vintage Provence Folk cotton. 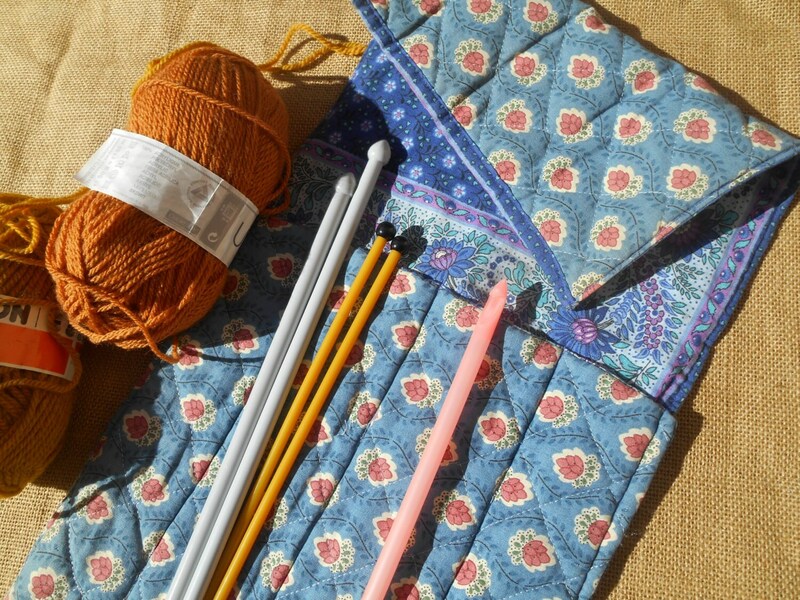 Great to put your needles and hooks. 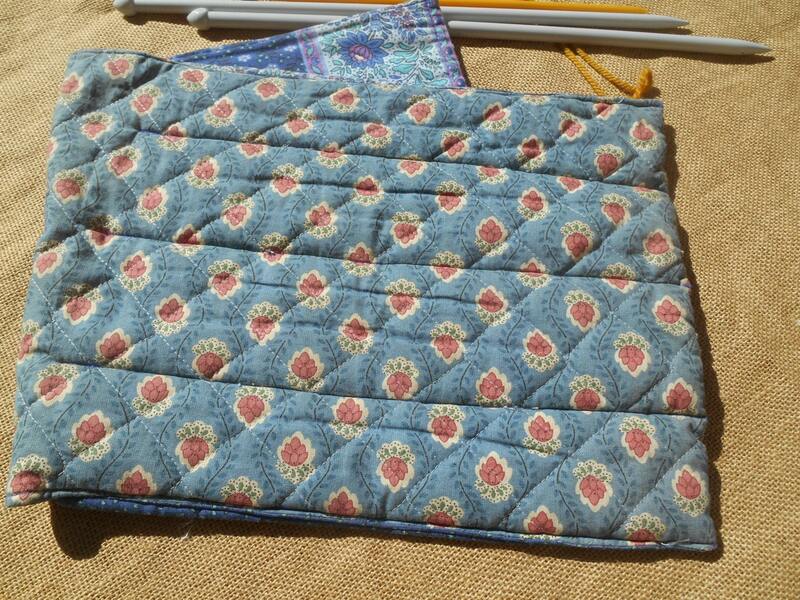 Blue cotton padded with separated pockets. 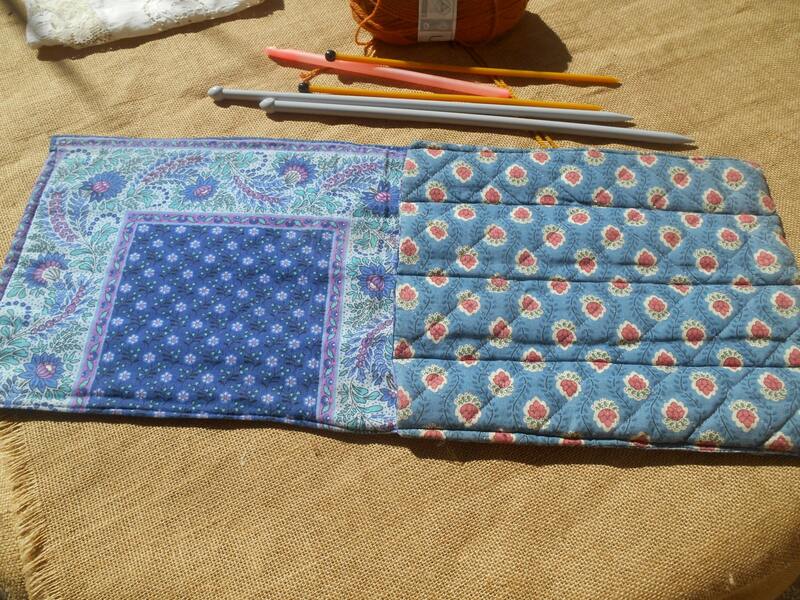 Lovely and useful Provence case!